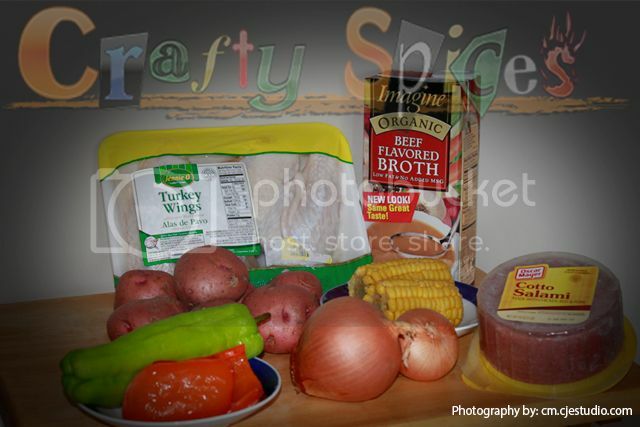 Crafty Spices - Easy Crockpot Turkey and Veggies. Easy Crockpot Turkey and Veggies. 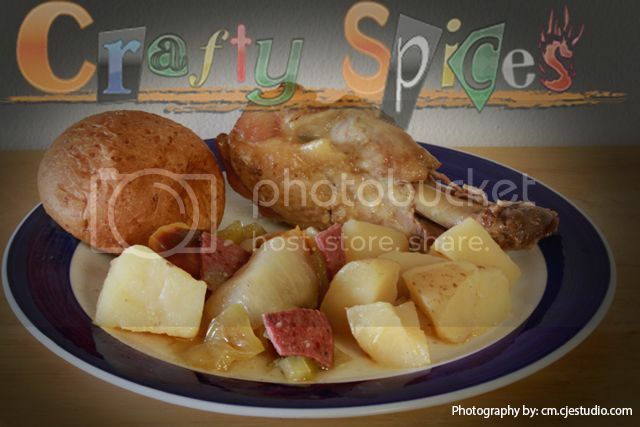 I was not originally a big fan of Crockpots, especially because I did not like the idea of leaving something on, if I was not going to be home to supervise it. Yet I have so many friends that talk wonders about Crockpots that I decided to be more open minded toward them. We've had a crockpot for sometime now, yet we really did not use it that much or to it's full potential. That’s all changing. We love having family over, but we end up spending so much time in the kitchen (breakfast, snacks, lunch, snacks and dinner) valuable time that we could spend doing something fun together. Not so long ago my sister-in-law and family were coming over and we all wanted to enjoy the outdoors, had a long fun weekend planned but had to stay within budget. I took my time up front and planned our daily meals. Our 3 main dishes: Crockpot Chicken, Oven Turkey, and Barbecue at the pool, we fully enjoyed our weekend and had a great time outdoors. The recipe that we are featuring today was done with turkey instead of chicken, we have done it both ways and love both of them. Prep all ingredients by pealing and cutting in medium size pieces. Place half of the potatoes at the bottom of the crockpot and half of the veggies. Then add the remaining ingredients including the broth. If using corn add towards the end. Serve as a soup or direct on plate as the picture above. Complement with bread or a simple salad.